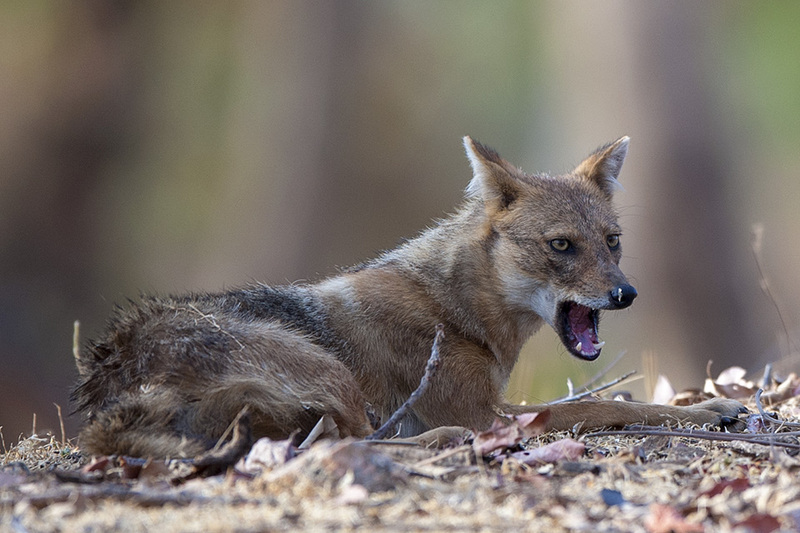 On one of our safari’s in Pench National Park, Central India, we came across this Golden Jackal (below) and parked our vehicle close to it. 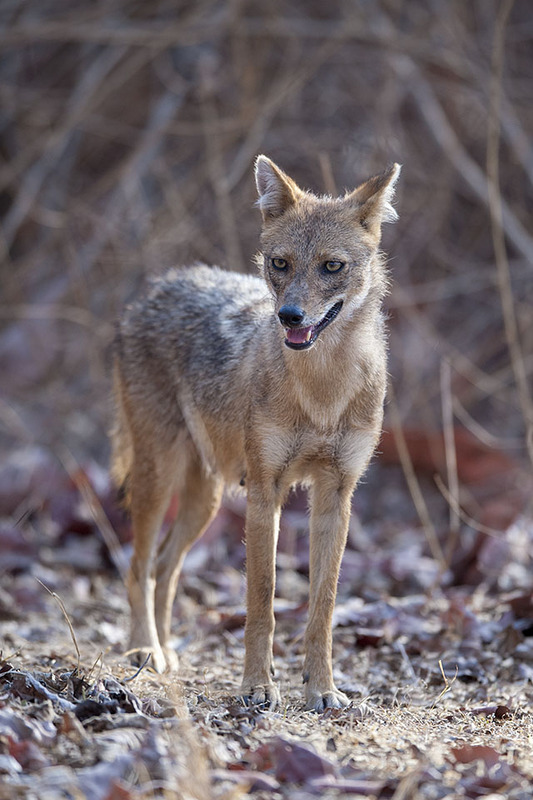 As we observed her, we saw that she was looking in the direction of another Golden Jackal (above) sitting at a distance from our vehicle. 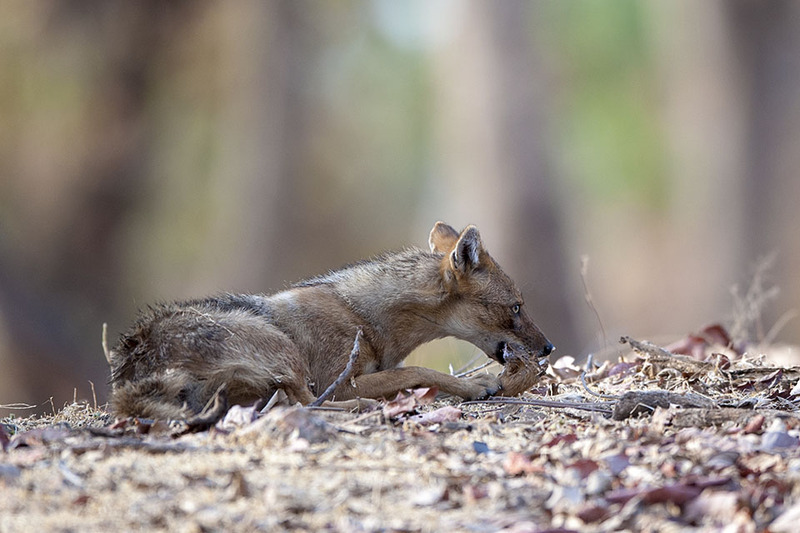 We were contemplating whether to move closer to the other Golden Jackal since she was sitting in beautiful light. 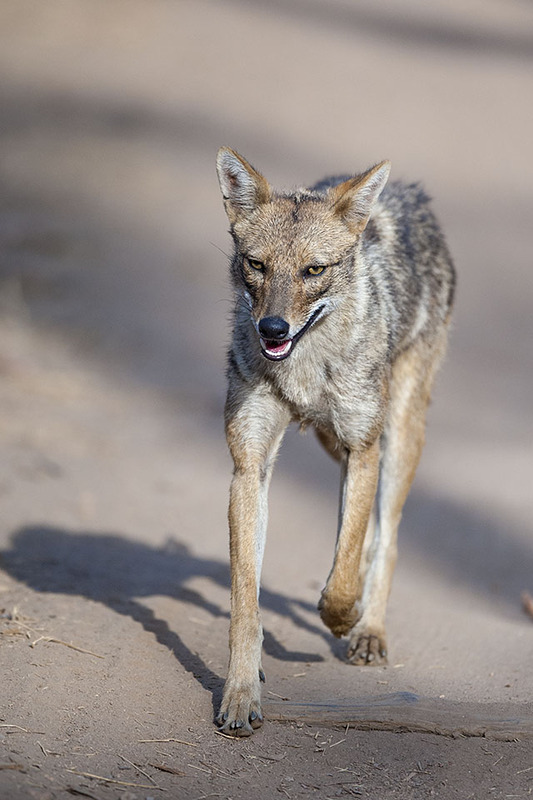 Just then another Golden Jackal came strolling by on the road. 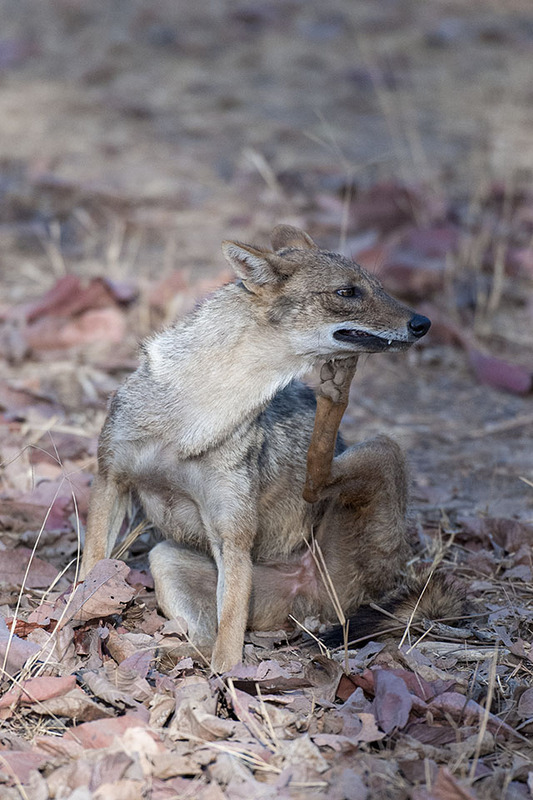 She quickly settled down to preen herself and it was time to move on. 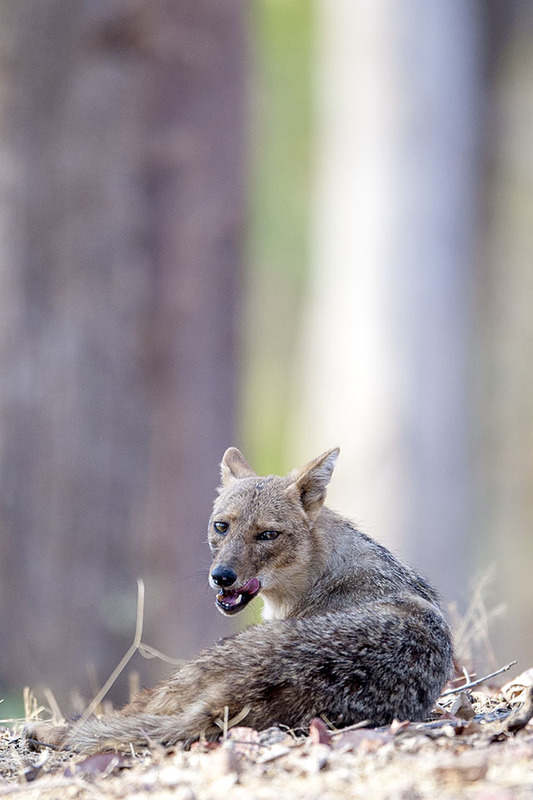 We moved closer to this Golden Jackal that was sitting in good light (above), only to spot her munching on something, that our guide later identified as the leg of a Chital (Spotted Deer). In a matter of minutes, we were surrounded by Golden Jackals in all directions.